At the end of October, I was invited to the new SkyWatchTV studio to film a pilot episode with Gary Stearman. There were also several other Christian authors to film episodes as well. I had the pleasure of meeting Derek and Sharon Gilbert. The Gilberts host two radio/podcast shows: PID Radio and View from My Bunker, as well as authoring several books on end-time prophecy. During our visit in Crane, MO, Derek was kind enough to interview me regarding my new book, The Shinar Directive. The Gilberts have given me permission to rebroadcast that episode for the Kingdom Intelligence Briefing. The Shinar Directive is scheduled for release on November 30 and is already available for preorder on Amazon.com. 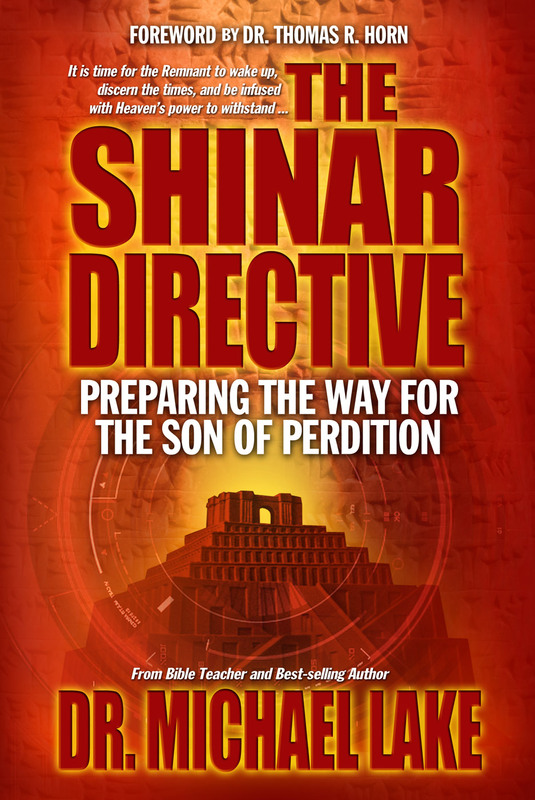 Preorder the Shinar Directive Here. BLCS has been providing distance learning degree programs to aspirants of the Gospel ministry for over thirty years. Degree programs are available in theology, ministry, biblical studies, biblical counseling, Christian education, and Hebraic heritage. Visit the website today to download our catalog in PDF or request a catalog packet via First Class Mail. Tags: Derek Gilbert, Dr. Michael Lake, End-Times, Nimrod, Shinar Directive, Transhumanism.